Ralph Waldo Emerson said, “Life is a journey, not a destination” – but more times than not, our journies get complicated. How do we structure our lives to have more passion and fulfillment? To have more time for family and friends? What do you do? How does it happen? On this episode of the CarrotCast, Trevor dives deep into where and why he’s at this period in his life and his business. Why and where he needs to build, change and delegate so he can continue to do the things that make his heart sing. Things we can all relate to in our own lives. Especially in the makeup of entrepreneurs and business leaders, we all come to a chasm that we need to cross. But… that chasm seems like it’s a mile wide and a mile deep. So, how do we organize ourselves to overcome obstacles? Find out and enjoy this conversation as he walks you through the mental operating system mindset shifts you really need to explore and implement before choosing to cross that chasm you might be facing right now in your business or personal life. Listen to more CarrotCast interviews at CarrotCast.com. 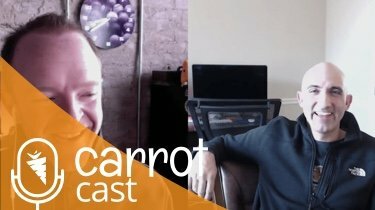 Listen to this episode of the CarrotCast and start thinking about what’s really important in your life. Is it really to kill yourself from stress and selfishness? Or, is it creating a life full of strong relationships, fun and joy? 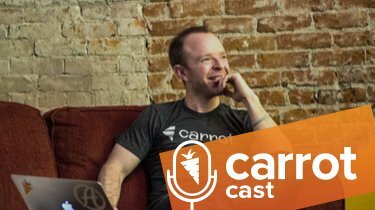 1:30 – Falling into the chasm of not enjoying life and hustling to make the next deal. 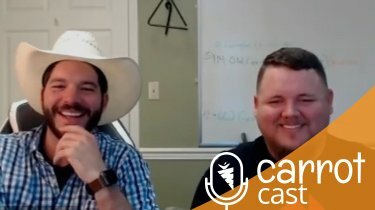 3:30 – New Carrot team members and brief Carrot retreat recap. What we do to plan and have fun. 10:10 – The chasm that you must go through of being “busy” to being “intentional”. 12:40 – Have a major mindset shift on your outlook on family, friendship, finances, fitness, and faith. 15:50 – How important it is to accelerate the important things in your life. 21:00 – Shifting into a new work week strategy to free up more time to spend with family. 23:15 – How to create your STOP DOING list. Stop doing or trim the things you’re not passionate about. 24:25 – Hire people to take care of the aspects of your business that you don’t enjoy. 10X your productivity. 31:50 – Finding a specific solution to specific problems you have not only in business but also in life. Move into your dream role. 33:50 – Plan strategic growth to regain more time in your life. 37:35 – What are you doing to change your mental operating system? 39:30 – The importance of investing in the things that are important to you. Get those 4 or 5 F’s (family, friendship, finances, fitness, and faith) in front you and rate yourself on a 1-10 scale.